I’ve been in a creative and ambition dead space since we got back from vacation. It seems 1 month away from my sewing machine spending time seeing family and friends in the Midwest sapped my energy. For crying out loud, I haven’t even posted a decent article in months! I didn’t want to sew or cut or cook/bake and I certainly didn’t want to clean. But I had to clean. It’s just one of those things that you have to do when your car vomits out all the stuff you’ve crammed into it. And being gone for a month requires a large amount of things. A large amount. The bags got unpacked. The house got cleaned. The kids school stuff got bought and stacked into piles. Nothing got made. And then the bananas on the counter began to get too ripe. Being from the Midwest from hard-core Midwestern stock it is a sin to let food go to waste. However, neither I nor the kids can stand over-ripe bananas and so there was only one solution. Banana bread. The process of making banana bread seemed to jar something loose. After the banana bread I made scones and a lasagna. And then things really got flowing. I revisited a Bargello quilting technique I’d read about. Bargello uses strips of fabric of graduated or complimentary color sewn all together to make a new textile, then cut apart and layered in a way that makes it look like the color is undulating. 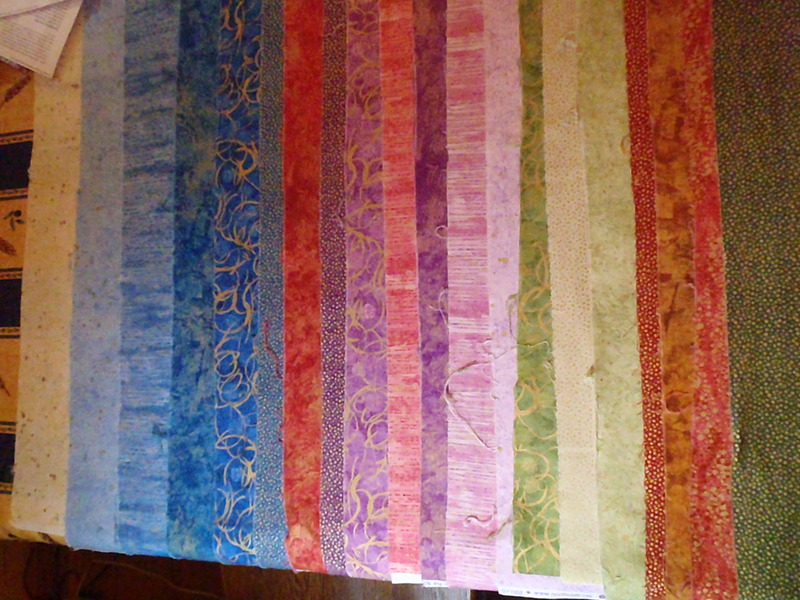 I had a bunch of jewel-toned fabrics with gold flecks and/or swirls on it so I decided that I would try a Bargello quilt. 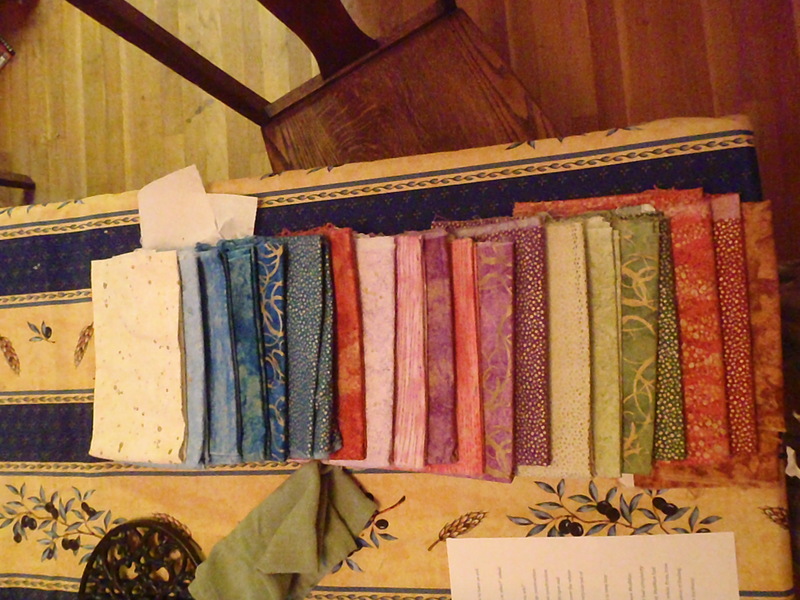 Lining up the fabric to figure out the order. 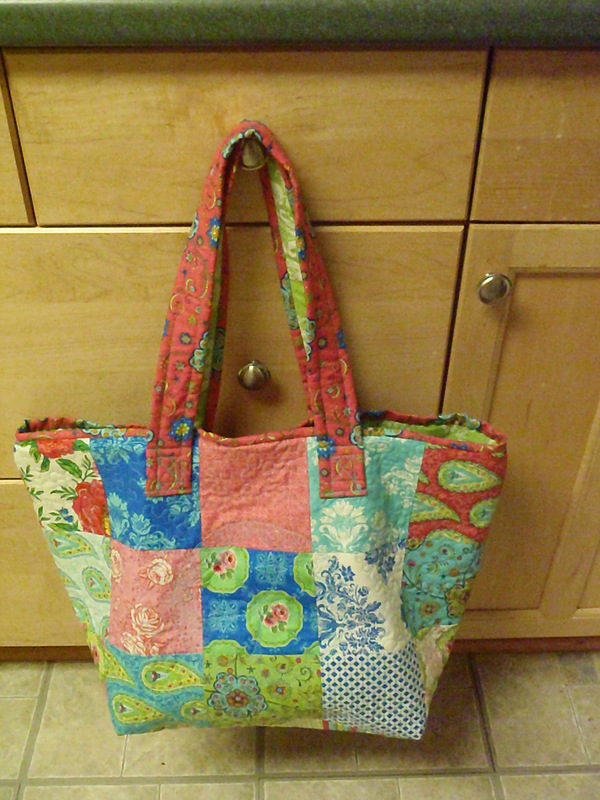 And then I got distracted by finishing a bag from a friend. It’s a really lovely little shopper. The cute bag - already purchased. 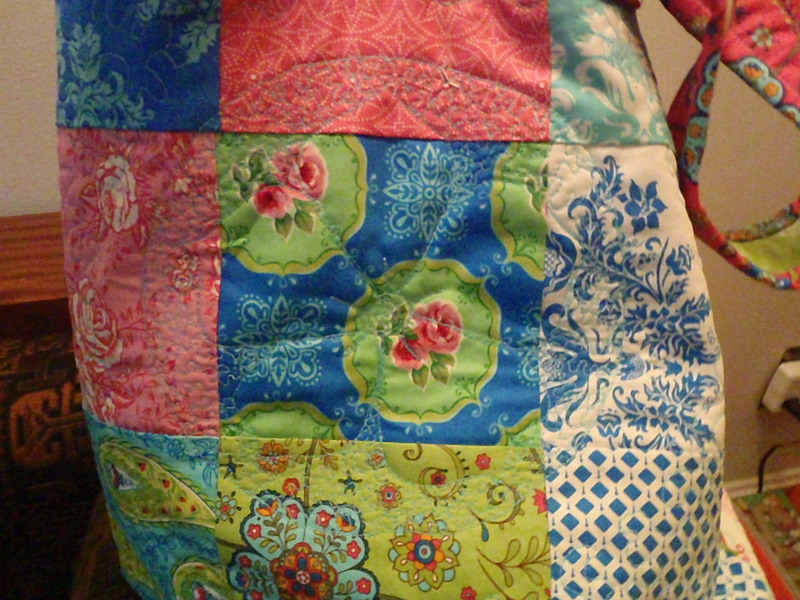 Detail of the medalion I quilted into it. 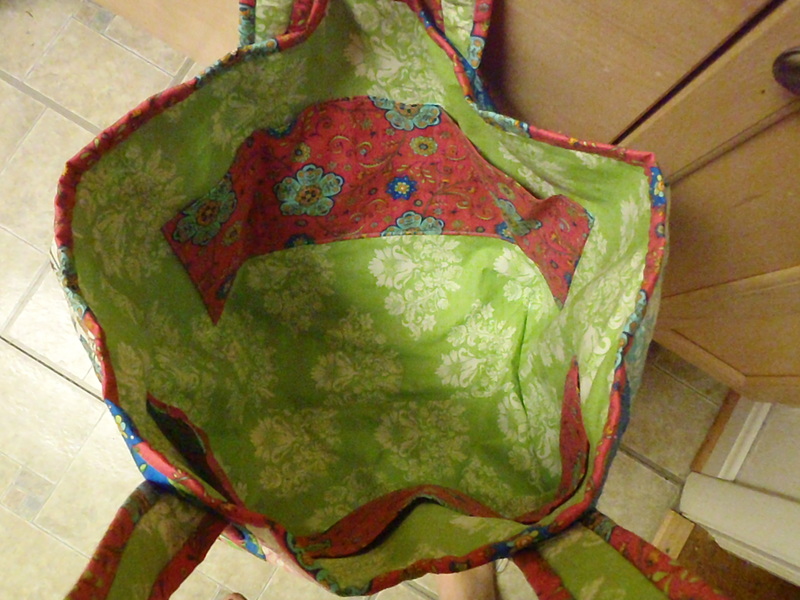 And I got caught making a second bag and 2 plastic bag keepers and then there was a fabric sale at my favorite local store, Capital Quilts (http://www.capitalquilts.com) and I splurged and stocked up on a whole bunch of fabrics and I’m planning out more quilts and bags and a new little project I discovered that will be the focus of an entirely new post. But the Bargello project is coming along. The strips are cut and sewn and re-cut and ready to be assembled. There will be more on that later. And why am I making all this?? It’s more than just out of control creativity. Cate and I are holding another Holiday Jewelry and Textile Arts Show and Sale the first weekend of December. This year it will be both Saturday and Sunday at Cate’s house. More details to follow. Stay tuned. Yeah! Let the creative juices flow! Wait until you see my next post. where I reveal my latest project You’re going to be so jealous!